Thanks Stacey. Love your watercolor, beautiful. Thanks Kim. 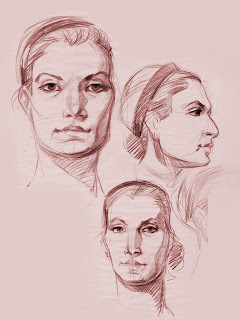 These 5 min sketches from Bob's head drawing class. I will post some from each day and hope I will improve. I don't speak Japanese but I believe your work is damn good. Niedaleko. Pozowala modelka w pracy.